MISSISSAUGA, ON, January 20, 2016– Samsung Canada today announced the 55 semi-finalists moving on to the next phase of Canada’s first-ever Samsung Solve for Tomorrow Challenge. In partnership with well-known Canadian YouTubers AsapSCIENCE and educational organizations Let’s Talk Science and The Learning Partnership, Samsung’s Solve for Tomorrow Challenge encourages Canadian students in Grades 6 through 12 to apply their natural curiosity and to think big using science, technology, engineering and math (STEM) to solve everyday problems in their local communities. These semi-finalist schools will now go on to build out their proposed STEM solution, competing to be one of 11 prize winning finalists to move to the final stage for a chance to win one of two grand prizes of $50,000 in Samsung Solve for Tomorrow classroom technology grants and a visit from AsapSCIENCE. The semi-finalist will go on to implement their proposed STEM solution, capturing the process in a three-minute video with their new Samsung GALAXY Tab S, Samsung Galaxy NX 3000 and Adobe editing application from Google Play Store, all courtesy of Samsung Canada. From here, in accordance with the contest rules, 11 prize winning finalists will be selected and awarded $20,000 in classroom technology, and will go on to compete in the final phase in Spring 2016 for two grand prizes of $50,000 in Samsung Classroom technology*. These two grand prize winning schools will also win an exciting celebration event from Mitch Moffitt and Greg Brown of AsapSCIENCE and have their student projects featured in an AsapTHOUGHT video. In support of the Solve for Tomorrow Challenge, Let’s Talk Science has developed a collection of tools and resources for teachers to use with their students in developing their STEM solution from start to finish. The 55 semi-finalist are also invited to reach out to Let’s Talk Science for more STEM knowledge and help with developing their focus question for the challenge or issue they’re trying to solve. To learn more about the contest rules and regulations please visit the Official Rules page and check us out online @SamsungCanada and #SamsungSolve on Twitter, Facebook and Instagram. *Judges will select eleven prize winning finalists. Subject to compliance with the Official Rules, the eleven video submissions with the highest average scores from the Judges will be deemed prize winning finalists and will advance to Phase Three of the Contest. Two winners will be selected from among the eleven prize winning finalists, with one Winner selected using the Public Voting Method and one Winner selected using the Final Judging Method as set out in the Official Rules. Sponsor reserves the right to choose fewer than eleven prize winning finalists if, in its sole discretion, it does not receive a sufficient number of eligible and qualified Entries. The eleven prize winning finalists will be announced on or about Wednesday, March 22, 2016. 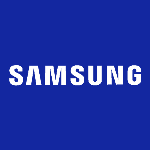 Samsung Electronics Canada inspires the world and shapes the future with transformative ideas and technologies, redefining the worlds of TVs, smartphones, wearable devices, tablets, cameras, digital appliances and printers. Samsung is a leader in the Internet of Things space through, among others, our Smart Home initiatives. In 2014, Samsung was ranked one of the top 10 most influential brands in Canada, based on a study by Ipsos Reid. Committed to making a difference in communities across Canada, its Samsung Hope for Children corporate giving program supports children’s education, sustainability and health-related issues. Globally, Samsung employs 319,000 people across 84 countries with annual sales of $196 billion.